We live at a time when we wish to have the greatest wellbeing in the history of humanity. We are alive during a time of unprecedented new approaches to health and healing, when practitioners of pioneering wellbeing modalities are arriving, almost, daily. 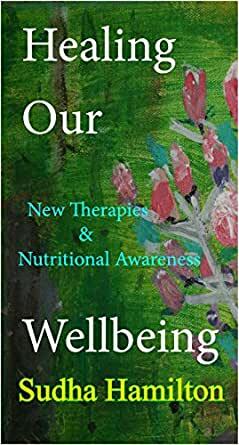 In this book I have collected my published writing on a variety of healing techniques, nutritional approaches and therapies in an attempt to offer you some insight and understanding into this exciting field. Of course, some of these healing modalities and sources of wisdom are in fact ancient, dating back, in some instances, to the Babylonian civilisation several millennia ago. There are, however, new adaptations of these timeless truths and they have been incorporated into new modalities. History, to many people, is unknown and so the wisdom proffered here may indeed shine a light on the cause of unhappiness and, even, illness. 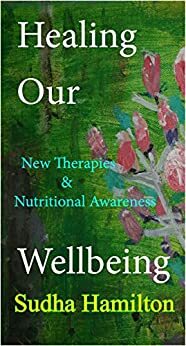 The aim of this book is to introduce readers to new ways of healing and increasing their sense of wellbeing. Thought Field Therapy offers amazing relief to many sufferers, who cannot find healing in what we call ‘modern medicine’ today – tapping on the meridians discovered by Chinese medicine thousands of years ago. House Therapy is my own insight, linking our homes to our minds or souls – and showing how we can heal and change things through this understanding. Retreats and Spas have become our new way of holidaying – a new holy day on which to heal. Nutrition must be one of the most exciting new fields of knowledge when it comes to our health and there are many pieces here on our physical selves - and what is good and bad to consume. I hope that you enjoy the writing and finish this book with a greater understanding of your health and some of the therapies and approaches to healing that currently abound.